It all started while searching for a few things to use in the guest room. when I spotted a small silver serving dish missing the glass insert. Priced at just a few bucks, I knew just what to use it for. this silver dish would be perfect. so I headed to a hardware store located in the center of town. Having more home decor and garden supplies than hardware I figured this would be the place to go and it didn't take long to find what I was looking for; I just headed to the candle department. Yes, this hardware store has a candle department! I wanted to use a glass sleeve rather than a glass cylinder so it would be easy to light the candle. Just lift the sleeve, light the candle and slide the sleeve back on. 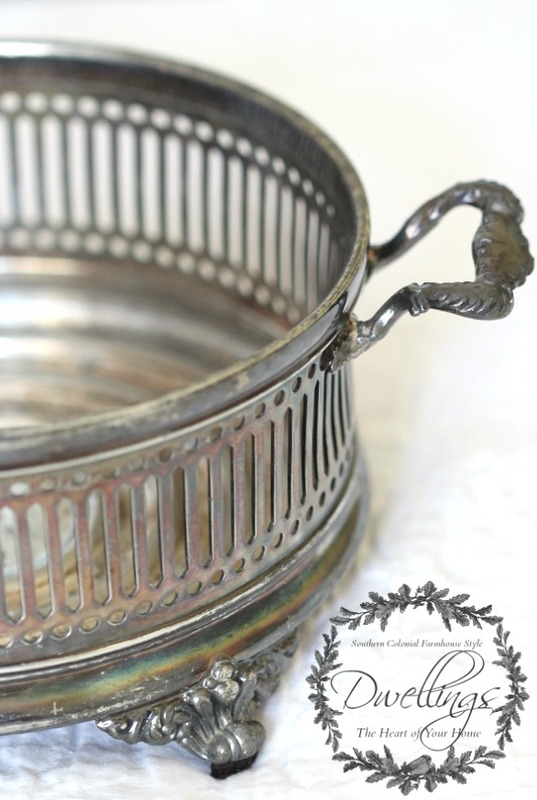 Next, was something decorative to go around the glass sleeve to rest on the rim of the silver dish? A small wreath would do. 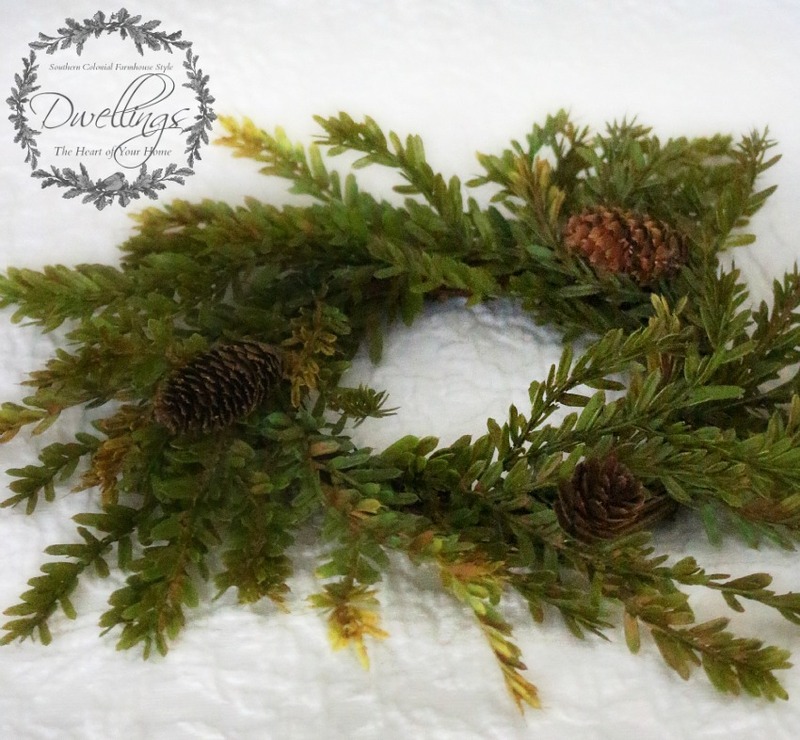 So I headed to another shop in town and found this pine cone wreath. Perfect for fall. on the guest room bedside table. Silver dish turned candle holder; I love it when an idea comes together! The guest room reveal is next! 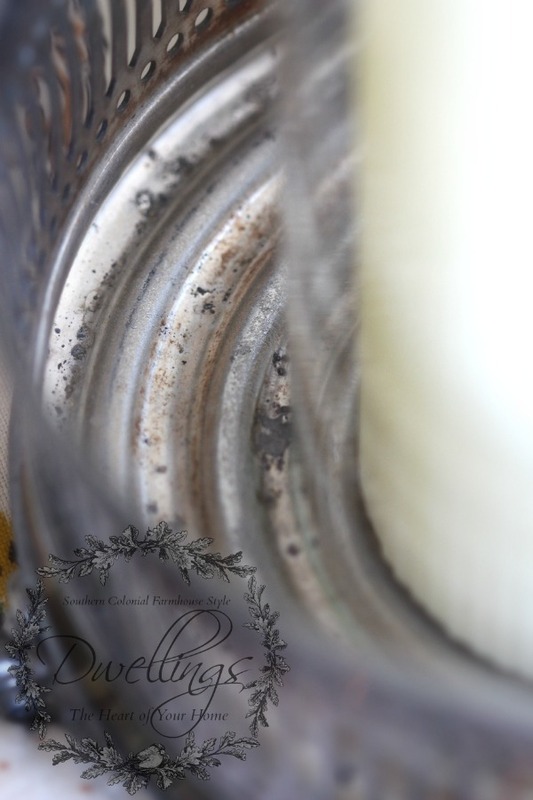 Hop on over for this week's features and inspiration at AMAZE ME MONDAY! Can't wait to see the finale. that's super!! Hope all is well with you hon. Really love this silver piece. Super touch. That little silver dish is perfect! Where did you get the little wreath, I really like that too. Great job Cindy! 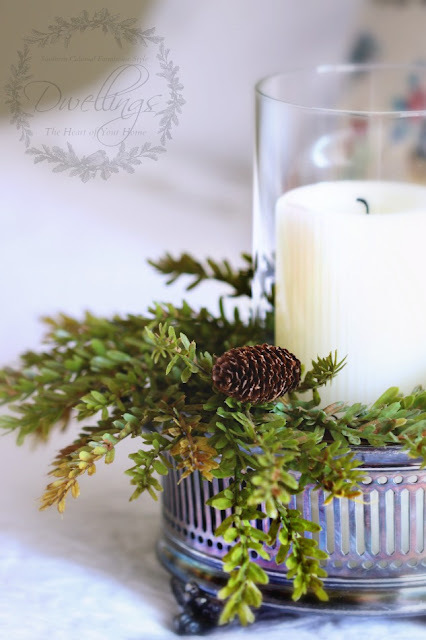 Love this idea, pine cones, white candles, greenery - just love it. 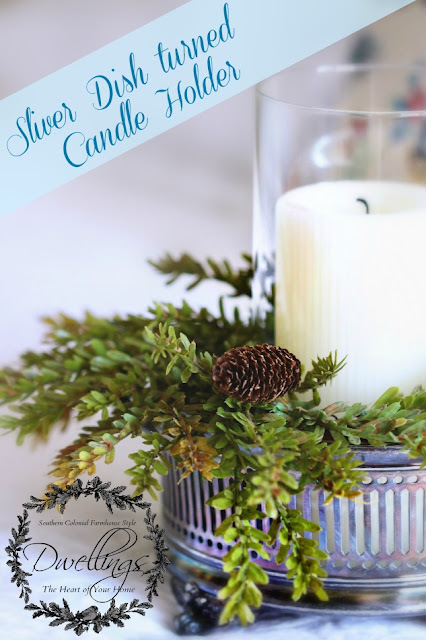 I love your old silver dish turned candle holder. It is a great size for a small nightstand or end table. 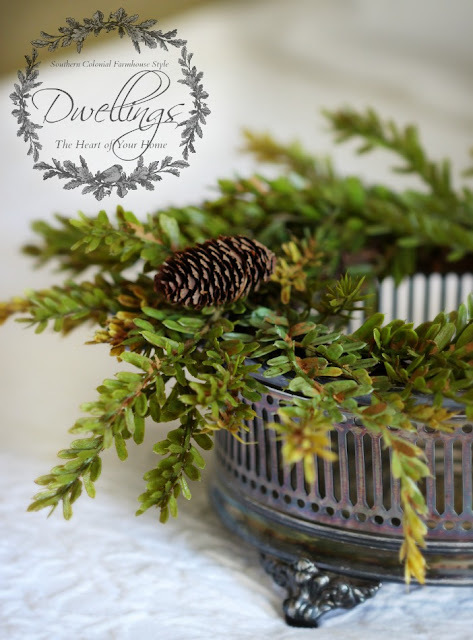 It's amazing how one small thing can add so much holiday spirit to a room. 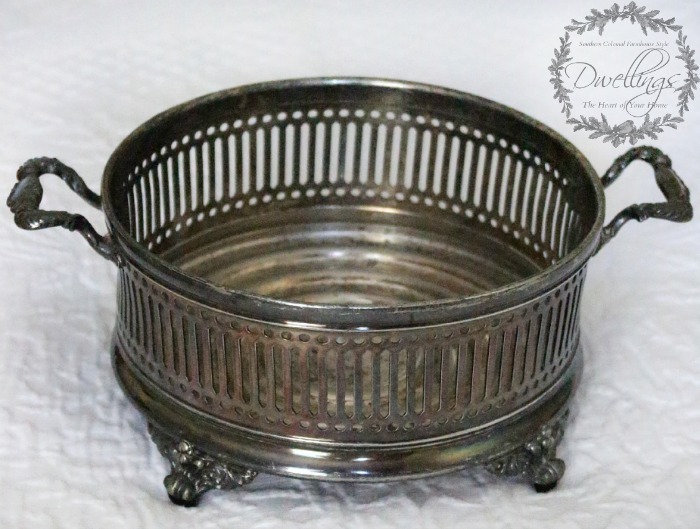 This silver dish turned candle holder is terrific!!! 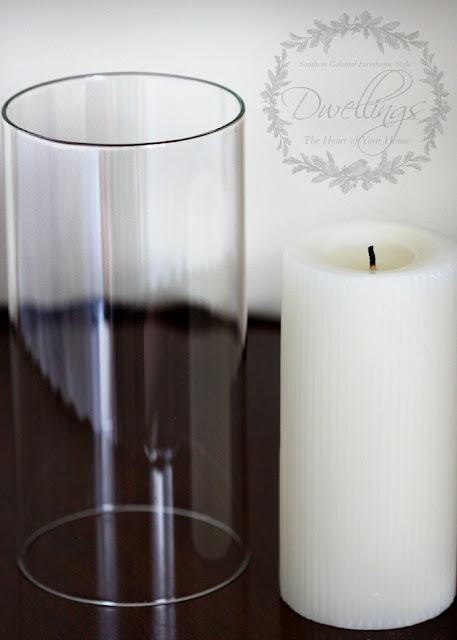 I love the fluting on your candle . . .from the hardware store!!! 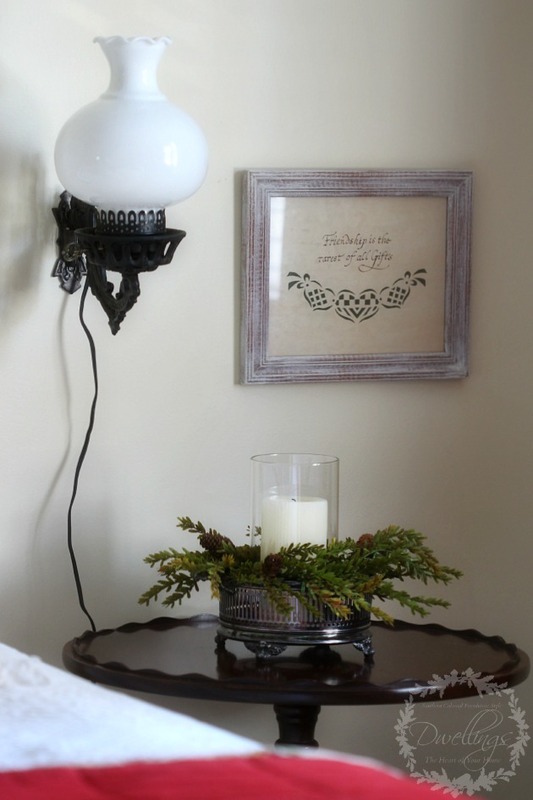 I'll be watching for your Guest Room reveal!!! It looks like it was meant to be a candle holder! Love that you added those greens Cindy! Well, how original! Vanilla is my favorite scent. So pretty! You put together a beautiful piece with a mix of items. You have such a great knack! Absolutely beautiful! I love the idea. Great job! it's perfect, Cindy! having the little wreath makes it fit like it was meant to be! This is really sweet and a fabulous use of a tarnished dish! Thanks for sharing. Beautiful...I love how creative you are! The details, I never would have thought of the floral addition done this way. And a hardware store with a candle department? Yes!! Hope you are having a great weekend, Cindy! Happy Halloween! That is gorgeous Cindy! Your photos are dreamy! Thanks for sharing at Home Sweet Home! Cindy, I loved this outcome so much I will feature it tomorrow at Home Sweet Home!